IN THIS PHOTO: The Buzzcocks in 1978 (John Maher, Steve Garvey; Pete Shelley and Steve Diggle)/PHOTO CREDIT: Chris Gabrin/Redferns. It’s pretty much canon that Singles Going Steady is the “best” Buzzcocks album the same way that a singles collection of the Temptations or the Supremes would be those groups’ “best.” Singles Going Steady gets youth and desire exactly right. It’s a perfect album from a band that never fetishized perfection. To remember Pete Shelley’s songs is to feel the pain of nostalgia, like visiting your hometown when every shuttered deli and graveyard is a monument to some youthful humiliation. Here’s where you took an hour to tell a boy exactly how you felt, only to have him ask about a better-looking friend before you could get the words out. Here’s where you tried to feel up a social better and got shot down in a way that shakes you even now. Here’s where you did something cruel, only to realize just how cruel you were years later”. Although they were in the original core cluster of groups that invented UK punk, Buzzcocks would always be an anomaly within that movement—misfits among the misfits. There had never been words, a voice, a personality, like this in rock before. Shelley sang love songs when every other major punk vocalist rejected them as trivial next to political themes, or—if they did deal with desire and heartbreak—laced the words with spite and hostility. The aggression in Buzzcocks was all in the sound; the animating spirit was sensitive, open-hearted, vulnerable. But there was more to Shelley than just perfect power pop. The second side of Singles Going Steady, dedicated to the group’s B-sides, grew steadily less straightforward, culminating in “Why Can’t I Touch It,” nearly seven minutes of loping almost-funk and stereo-separated guitar-slashes, and “Something’s Gone Wrong Again,” which resembles suspended-animation Stooges, glistening with a coat of frost. The entire second side of A Different Kind of Tension was a Shelley mini-concept album, permeated with existential doubts and askew with a disassociated feeling influenced by LSD. And 1980’s “Are Everything,” one of the first-phase Buzzcocks’ last singles, was even more psychedelic: Shelley took acid for every stage of the process, from recording to mixing, hoping for the rush of revelation to overcome him”. A lot has been written about Pete Shelley: his different sides and his massive heart. The way he changed music and has inspired legions of modern musicians cannot be understated. A lot of time will pass and we will pay tribute to Shelley every year. There will be the usual playlists with his best songs and there will be archive interviews from Shelley. We will remember and sadly look back to his death and how the world lost a giant. 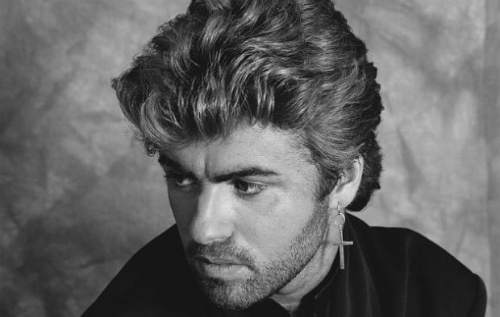 Over the past few years, we have lost music greats such as George Michael, Prince and David Bowie. George Michael died on Christmas Day in 2016 – the same year that saw both David Bowie (10th January) and Prince (21st April) leave us. We still hear their music around but I wonder if their memories are being preserved in the right way. I love the fact we will recall the brilliance of Pete Shelley and Prince but, in years to come, there will be a legion of artists and fans that will only be drip-fed the music of these lost icons. I am not suggesting we build shrines to these musicians but there should be some avenue or exhibition that means, even though they have gone, people will be able to look back and discover their music every day. I do worry artists like George Michael and Prince will start to slowly fade out of the consciousness – or their music will not be played as much as we’d like.